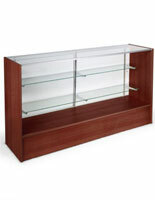 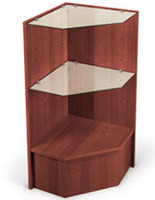 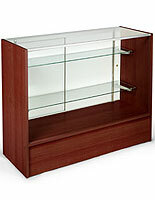 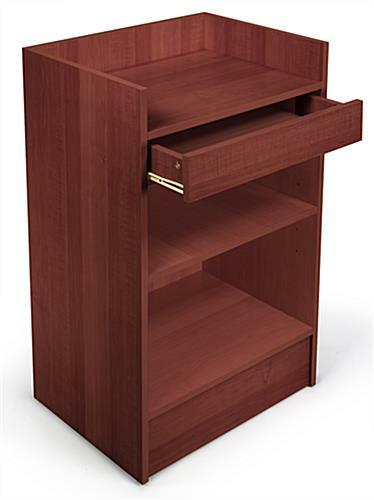 These cherry register stands feature an adjustable shelf and a pull-out drawer that can be used to hold supplies. 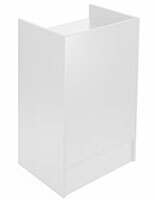 The checkout counters feature a recessed ledgetop for accommodating cashboxes and point of sale equipment, making them ideal for supermarkets, specialty stores and other retail locations. 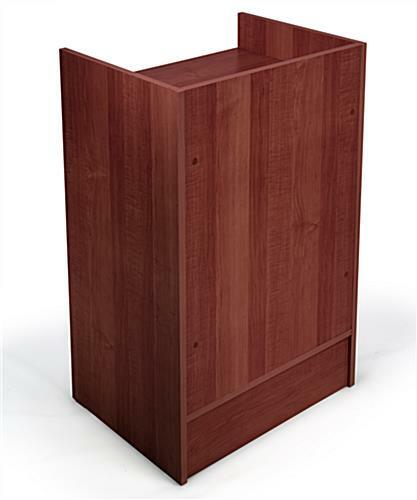 Each of the register stands is 24" wide and 38" tall and is made of durable laminated particle board with a rich wood-look finish color. 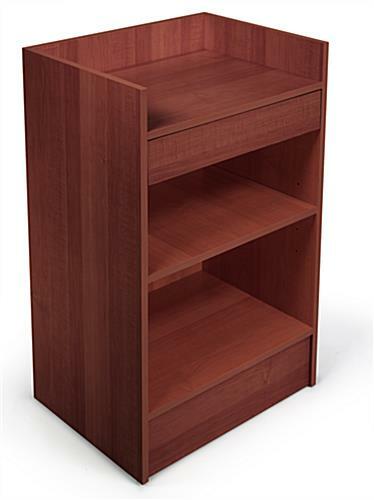 The retail checkout counters are shipped unassembled to save on shipping, but are easily put together. 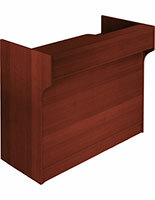 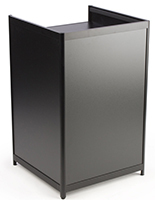 The hostess or checkout stands have a simple design and low price. 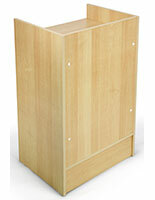 These sales or service fixtures can be used as freestanding counters or as part of larger modular cashwraps.